Welcome to Wednesday! You've made it this far already, and that's no small feat. Consider it this way: you are currently being more effective as one person than the 4.8 million (according to the Business Insider) people who make up the U.S. national government! Sorry, couldn't resist. And in all honesty, most of them are completely innocent in this unfortunate event. However, it does make us feel a little more productive on the individual level. I've had a real blessing of a week so far. I'm finding that God's presence really is enough to bring me joy when I'm dragged down by stress and chaos. I'm still praying that I will experience more of his love in an emotional way, because I haven't really had that yet in my journey for more of God. I'm not sure why, but I do know that there's a great reason for it. This past Sunday, I went forward at church to be prayed for in regard to having more of God in my life. I am amazed at the power of prayer, and so grateful that the Holy Spirit nudged me. There's no huge moment, no giant miracle, that has since occurred. Yet, I feel a greater sense of peace and belonging. I think I might be beginning to truly comprehend that his constant state toward me is love, and not anger. I am enjoying pleasing him and talking to him, and I am finding that my mind is more frequently on his presence. Like I mentioned though, I haven't experienced a lot of the emotional side. Perhaps that is so I will draw closer and really listen. Sometimes, I figure it should just be easy: God should give powerful dreams every night of his glory and I should see visual displays while I'm walking to class. Heck, it would be nice if I saw an angel or two sitting in the treetops while I'm biking to workout in the mornings. Ya, it doesn't always work that way. While I'm not saying we shouldn't seek that revolutionary power of God, I am saying that when we, as believers, look only to the marvelous wonders that force us to look at God, we miss the subtle miracles that bless us as we draw near to God in order to notice them. That is a lesson I am still learning. However, I am praying for all these things, because his word says to ask for more of him and he will give it. It's true: he really will give you more. He will do so in such a way that you're tongue tied and not quite sure how to explain it-- like I am. All I know is that I am desperate for more of God, hungry to be fed by only him. It's a place that delivers boldness and peace, and reckless love. That is where I want to be. Always. I am thankful that God keeps drawing closer to his children as we seek him. Yet, I'm also grateful that we will never get to the point where we say, "Ok, I've already seen this. *Yawn*" The nearer we walk with God, the more we see there is to him and the more we want that. I pray that today, you will walk with him. Take the least stressful hour in your day and see how often you can meditate on God (Click HERE to see how I started doing this). 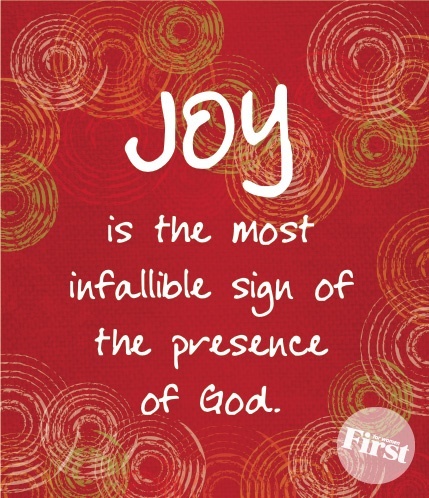 It is talked about in Practicing the Presence (RELATED: God's Joy! ), and it's something I've been finding great joy in (RELATED: "Practicing His Presence" book review). The past two days, I've noticed it spills into other times in my day and that's exactly how faith should be: uncontainable and ever growing. That is God's desire for each and every one of our lives. Click HERE to read my review on "Practicing His Presence." Do you struggle with resting in God's grace and love for you? Me too! That's why I wrote THIS post a few weeks ago on God's perfect peace. Check it out! A Book Review: "Practicing His Presence"